The Rev. Robert W. Lee IV, a direct descendant of the Civil War general whose name has become synonymous with the Confederacy, appeared on television and spoke out against racism and the riots in Charlottesville, Va., that happened during protests about the removal of a statue of his famous ancestor. Now Lee says that appearance has caused him to be forced out of his own church. As previously reported on The Root, Lee appeared on the Aug. 27 telecast of the MTV Video Music Awards and spoke out against racism and in support of the Black Lives Matter movement. He told The Telegraph that his appearance on the awards show and his denunciation of statues dedicated to his ancestor have led to him being forced out of Bethany United Church of Christ in Winston-Salem, N.C., where he has been ministering since April. On Wednesday, Lee said that he does not regret speaking out against white supremacists even though it has cost him his job. “Sometimes when you speak out against injustice, the cost can be great,” he told The Telegraph. On the awards show, Lee had called for statues of his Confederate ancestor to be removed. “We have made my ancestor an idol of white supremacy, racism and hate,” Lee said in his speech. “As a pastor, it is my moral duty to speak out against racism, America’s original sin. Today I call on all of us with privilege and power to answer God’s call, to confront racism and white supremacy head-on. 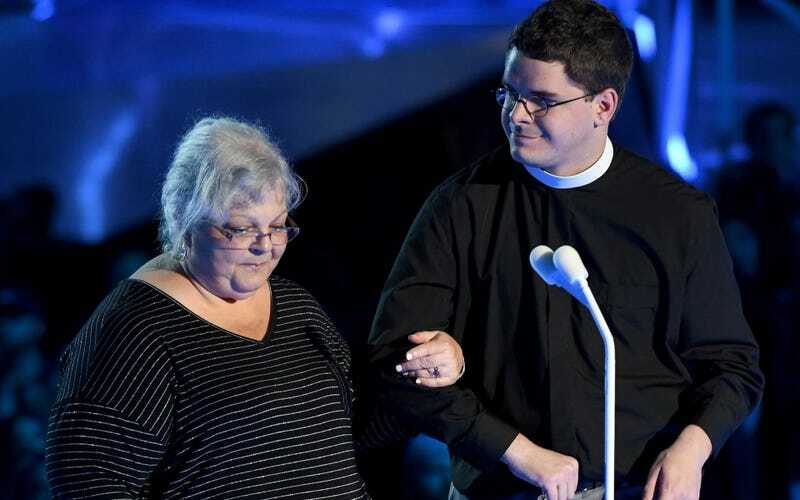 “We can find inspiration in the Black Lives Matter movement, the women who marched in the Women’s March in January and, especially, Heather Heyer, who died fighting for her beliefs,” he continued before introducing Heyer’s mother, Susan Bro, to the audience. Heyer was killed during the Charlottesville riot when a white supremacist rammed his car into a crowd of counterprotesters. According to The Telegraph, Lee’s speech put the spotlight on him and his tiny congregation. It was a spotlight that some members did not want. Resigning has not changed his stance on the issues, however. Lee said that on Tuesday he received a call of support from the Rev. John Dorhauer, who is the national president of the United Church of Christ. And while the church has not made a comment on his resignation, at least one member of the congregation has spoken on the issue. Brenda Jones, the church organist and choir director, told a local newspaper that she was shocked to learn of Lee’s resignation.